The Bistro Teak Dining Table can be seen at cafes and restaurants around New Zealand, but also is a superb, classic table for your home! 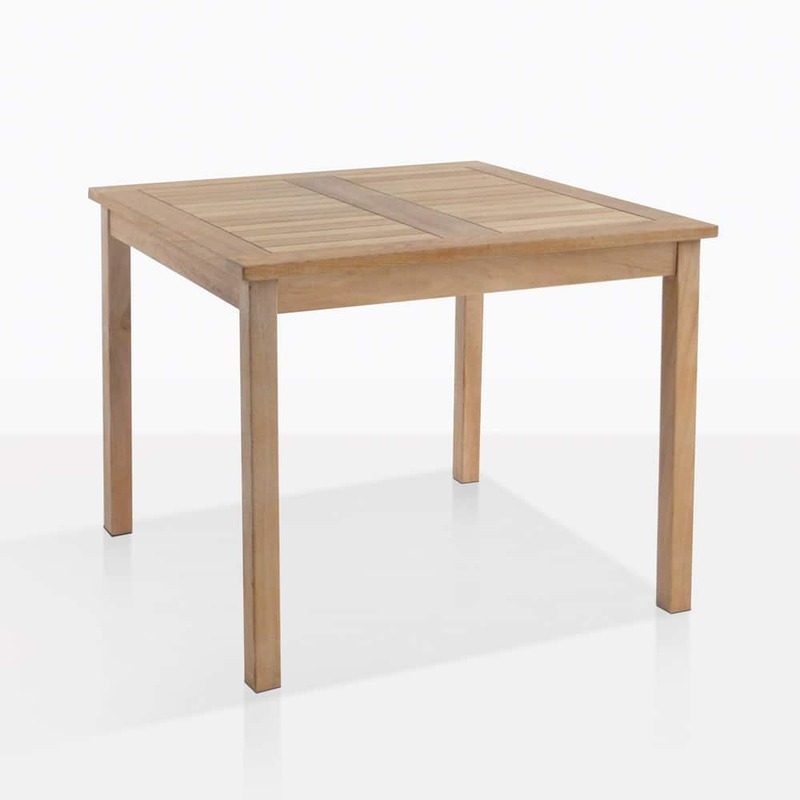 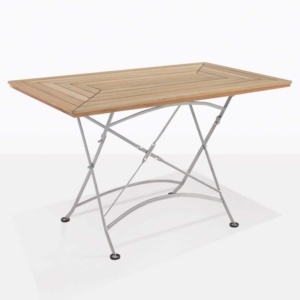 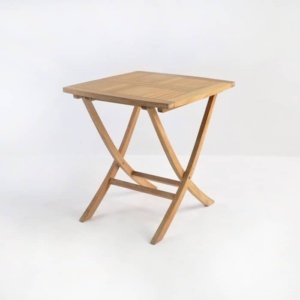 With simple, clean lines, at 90cm square, the Bistro Table ideal for four people. 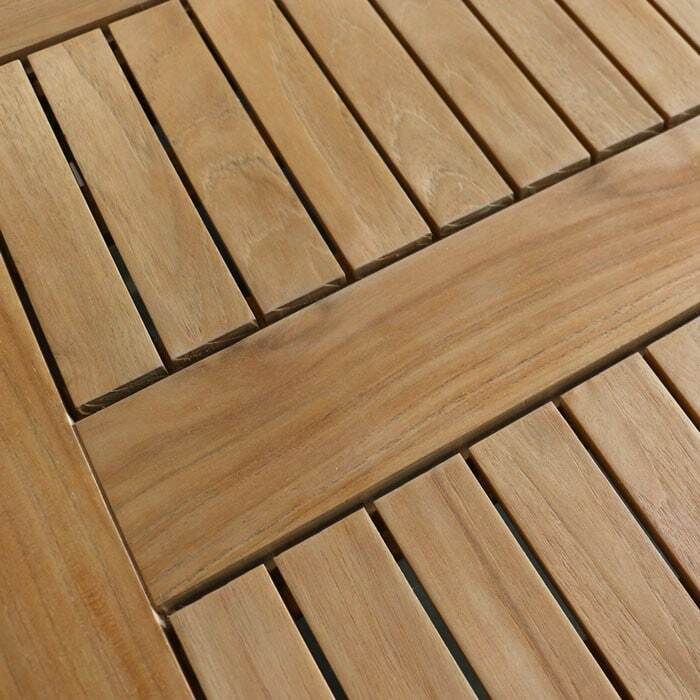 Set it up in the garden with the outdoor wicker Enna Arm Chairs for a beautiful contrast in textures. 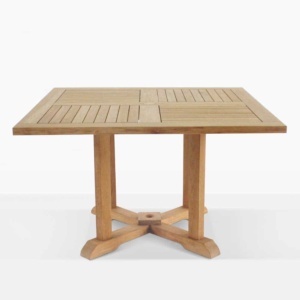 The Bistro Teak Dining Table is made from premium Grade A Teak, the best wood for outdoors because of its high levels of natural rubber and oils.